Former boy soldier and Northern Ireland veteran Mike Penning told the Telegraph that his time in the Grenadier Guards was often “boring” and that he was often very frustrated with the unit’s ceremonial work. “Was I a great soldier? No I wasn’t. One of the admirals said to me the other day, ‘You must have been a late developer, Sir.’ I guess that is how my sergeant-major would have described me,” he said in a surprisingly frank interview for a man now charged with recruitment and retention for the armed forces. “That is brutally honest, but it is factually correct. I didn’t get substantive rank – I was acting lance corporal twice – and I got very bored at times like most people that serve,” Fanning said. “Can I say it was fantastic the whole time I served? No, of course not, and anybody who says that is waffling…” he added. He said that while he found the ceremonial work in London dull, many others did not. With the military – including his own former unit and its sister regiments – in the grip of a deep recruiting crisis, it remains to be seen how his comments will impact on attracting new enlistees. MoD figures released on 21 November showed that manpower in the elite Guards regiments, which protect Buckingham Palace, had fallen so dramatically that only a few hundred junior infantrymen can be mustered by some battalions, figures indicate. 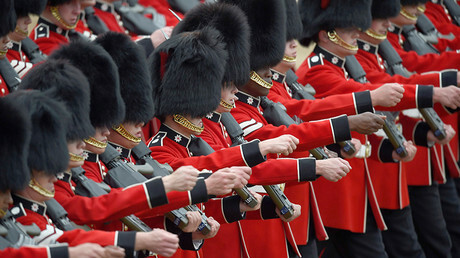 The five famous infantry regiments – composed of the Grenadier, Coldstream, Scots, Irish and Welsh Guards – are best known for their iconic redcoats and bearskin hats. According to Ministry of Defence (MoD) figures seen by the Express, the Scots Guards can only muster 260 Guardsmen – the equivalent to privates – for operations. The Irish and Welsh Guards, meanwhile, can only muster 230. 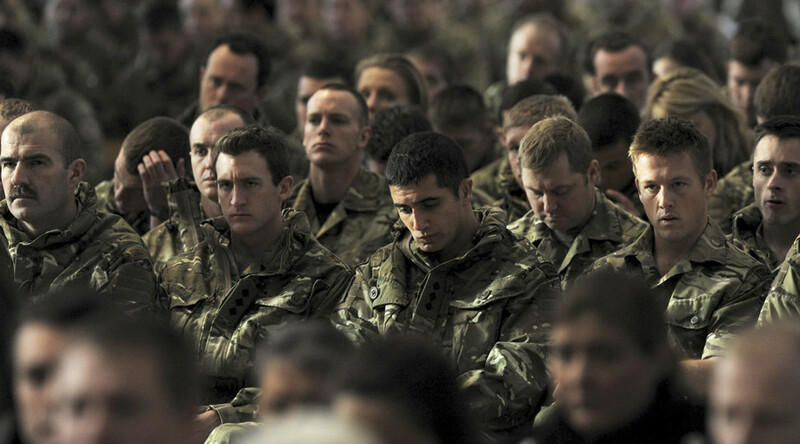 This is despite the operational manning requirement for an infantry battalion being between 330 and 410.